Combine garlic, oregano, pepper and paprika to make a marinade. Cut the pork into 1-inch cubes. 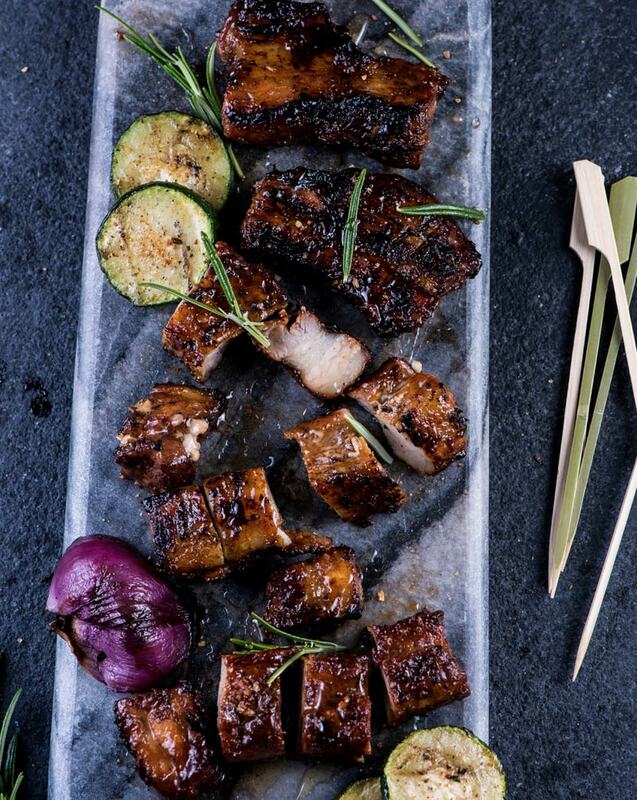 Toss pork cubes with marinade. Put into a non-reactive container, cover and refrigerate overnight. Heat grill to high. Skewer the pork pieces. Grill the skewers on all sides, about 8 minutes. Brush all sides lightly with barbecue sauce. Serve warm.